8.3 out of 10 based on 411 verified user reviews via Agoda. 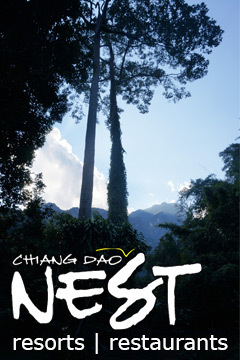 Stop at Chiang Dao Hut to discover the wonders of Chiang Dao. Featuring a complete list of amenities, guests will find their stay at the property a comfortable one. Take advantage of the hotel's free Wi-Fi in all rooms, Wi-Fi in public areas, car park, room service, airport transfer. Comfortable guestrooms ensure a good night's sleep with some rooms featuring facilities such as television LCD/plasma screen, mirror, sofa, towels, internet access - wireless. To enhance guests' stay, the hotel offers recreational facilities such as massage, children's playground, garden. A welcoming atmosphere and excellent service are what you can expect during your stay at Chiang Dao Hut. Chiang Dao Hut - Chiang Dao classifies itself as a 2 star hotel.